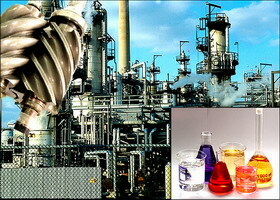 Specialized high performance lubricants used in wide range of industrial applications. KAL-SUPERLUBE SERIES Synthetic Lubricants hold significant adventages in cost and quality over all other synthetic and mineral-based lubricants. KAL-SUPERLUBE has a wide operating temperature range, excellent wear protection, high oxidation stability, low volatility and exellent compatibility with seal materials.